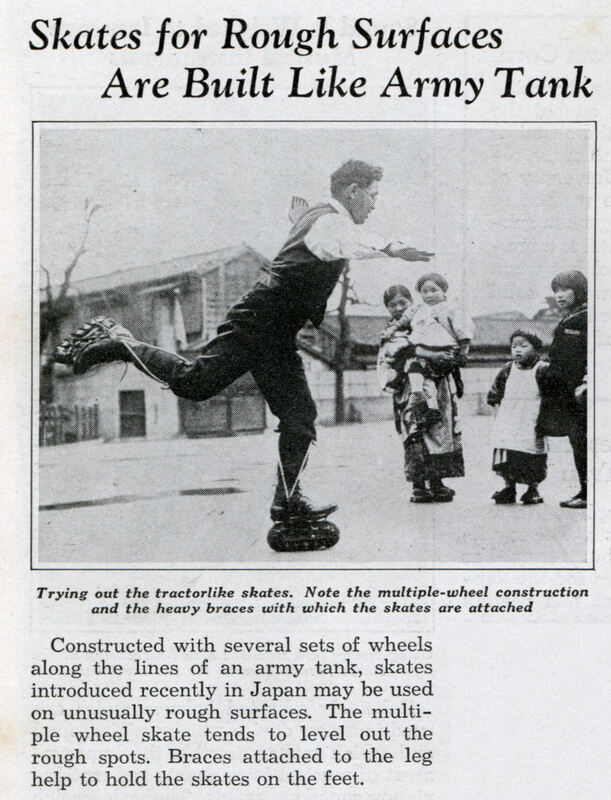 Constructed with several sets of wheels along the lines of an army tank, skates introduced recently in Japan may be used on unusually rough surfaces. 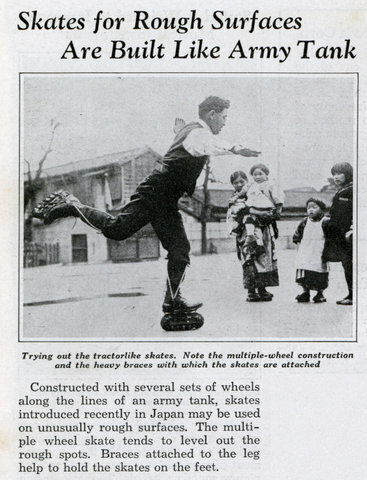 The multiple wheel skate tends to level out the rough spots. Braces attached to the leg help to hold the skates on the feet. 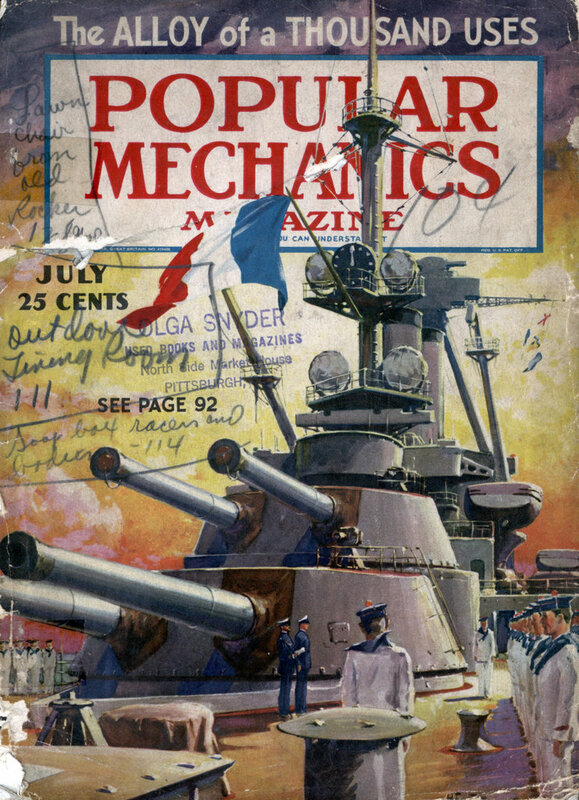 They don’t seem fast, but could be a good (re)make – Popular Mechanics 1936 – Link…….